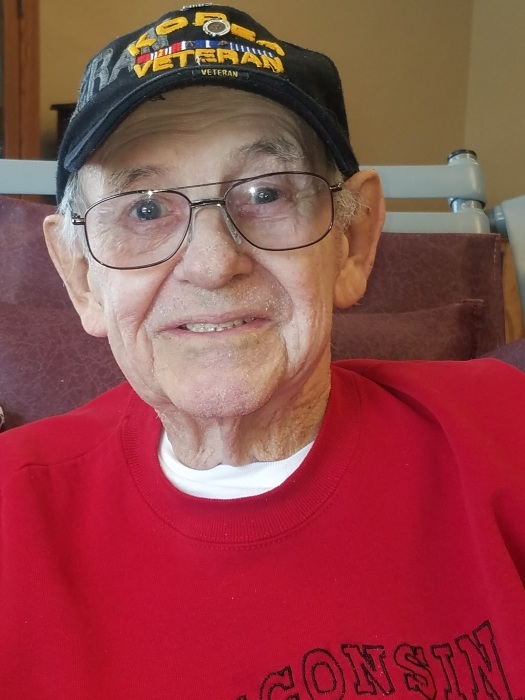 Leroy G. Meyer, age 86 of Clintonville, passed away Saturday, June 2, 2018 at Greentree Health & Rehabilitation Center, Clintonville. Leroy “Chub” Gordon Meyer was born February 5, 1932 in Clintonville, son to the late Gordon & Alvina (Rusch) Meyer. He attended Clintonville schools and graduated from high school in 1951. 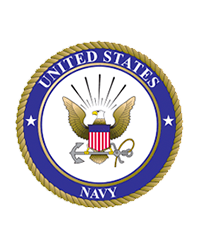 Leroy enlisted in the United States Navy the following December, and served as a Boatswain’s Mate aboard the U.S.S. Laws during the Korean conflict. Following his service and honorable discharge in 1955, Leroy started working at FWD/Seagrave, Clintonville on the assembly line. He was united in marriage to Virginia Zoglman on July 25, 1959 at Sacred Heart Catholic Church, Shawano. Together, the couple remained in Clintonville and raised four children. Leroy retired from the FWD in 1995 after 39 years of employment. He enjoyed vegetable gardening; most notably, pickles; and also loved fishing, trapping, and deer hunting with family. He also enjoyed trying his luck at the casino and his yearly vacations to Las Vegas. Leroy loved playing Sheephead with friends and family, and looked forward to their card-playing parties in his younger years. Leroy will be remembered for his joke-telling abilities, his friendly demeanor, and his knack for making you smile. Great-grandchildren: Alexis, Carson, Brianna, Braden, Cameron, Jayden, & Landon. Many nieces, nephews, cousins and other relatives. Leroy was preceded in death by his parents; a son, Donald Meyer; a grandson, Bryan Meyer; brothers, Roger, Gordon, & David Meyer; a sister, Jeanette (Don) Rosenheim; brothers-in-law, David Waite, Clem Hupke, Ron Lange, & Elmer Zoglman; & his father & mother-in-law, Reynold (Myrtle) Zoglman. Funeral services will be held 10 AM, Thursday, June 7, 2018 at the Eberhardt-Stevenson Funeral Home & Crematory, Clintonville, with Deacon Lincoln Wood officiating. Interment will follow at St. Rose Cemetery, Clintonville with military honors conducted by VFW Post #664, American Legion Post #63, and American Legion Auxiliary Unit #63, all of Clintonville. Friends may call on Wednesday evening at the funeral home from 5 – 7 PM, and again on Thursday from 9 AM until the time of the service.